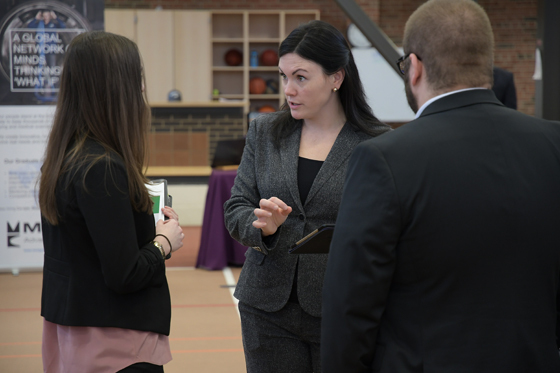 Alfred University's Expert-in-Residence program enables students to schedule one-on-one appointments with a variety of industry representatives. The Career Development Center provides employers with an appointment schedule and an office in which to conduct meetings with students. Flexible commitment - from a few hours every other week to one visit per semester. Opportunity to meet our motivated students, and they'll get to meet you in a relaxed environment. We hope you will wear a shirt or name tag with your company's logo, and that you'll take the opportunity to let students know the way things work at your organization. We will let you know the name, class year and major of your student appointments, as well as what they'd like to discuss. They will be told to bring a copy of their resume and/or cover letter, and a list of questions for you. Potential for classroom visits and presentations depending on faculty interest in each academic area. Ideally, we'd like you to critique student resumes and cover letters, provide advice on breaking into your industry, and conduct mock interviews. If you would like to cover additional topics, we'd welcome that. We will provide training on how to conduct a mock interview, if you prefer, and will give you a list of sample questions and a feedback form to give students afterwards. Since you're an industry representative, you'll have great advice for students regardless of whether or not you're actually in recruiting. All experts-in-residence are expected to abide by Alfred University's on-campus recruiting guidelines and policies.